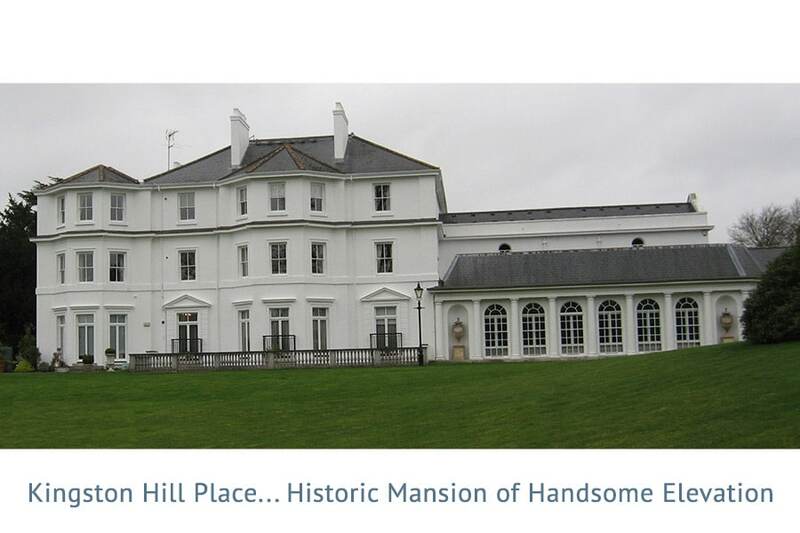 Kingston Hill Place is a grand mansion, built in 1828 by Samuel Baxter of Regent Street, that is the centrepiece of a gated housing estate on Kingston Hill, KT2 7QY. Its first occupant was Robert Lawes Esquire. Thereafter a number of interesting people lived there, including Viscount Pollington and Bonar Law MP. was occupied by a number of interesting people before it became a convalescent home for members of the women’s services during WW2 and thereafter was a campus of Kingston Polytechnic until about 1991. An enigmatic granite obelisk in the grounds possibly may have been a silent memorial to one or more of the deceased members of the family of the first occupant, Robert Lawes Esquire. Research on a local tradition that the estate was used by the Prince of Wales, later King Edward VII, for trysts with Lillie Langtry indicted that, if they did take place, they would have occurred between 1874-1879 during the tenancy of Robert Leonard Trollope, a rich, and probably well-connected property developer.